PRS for Music represents the rights of songwriters, composers and music publishers in the UK and around the world. As a membership organisation it works to ensure that creators are paid whenever their musical compositions and songs are streamed, downloaded, broadcast, performed and played in public. With over 100 representation agreements in place globally, PRS for Music's network represents over two million music creators worldwide. In 2017, 6.6 trillion performances of music were reported to PRS for Music with £717m collected on behalf of its members, making it one of the world’s leading music collective management organisations. 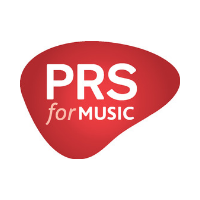 PRS for Music’s public performance licensing is now carried out on PRS for Music’s behalf by PPL PRS Ltd, the new joint venture between PPL and PRS for Music.